The End of the Worst Student Loan Clause? Many private student loan contracts have a tiny little clause, hidden away in the obscure depths of the fine print. It’s written in formal and somewhat vague language, but it basically says that if the cosigner or the borrower dies or declares bankruptcy, the entire balance of the private student loan is due immediately. This can be true even where the borrower (or cosigner) has been making regular, on-time monthly installment payments and can continue to do so. I call this the “death and bankruptcy clause.” It’s essentially an automatic default: if you can’t pay the entire loan balance right then, the “accelerated” loan will go into default and collections. Sometimes, borrowers are not even notified of the situation until the loan has been placed with a third-party debt collector and has been reported to national credit bureaus as charged-off or defaulted. As you can imagine, this leads to terrible situations. Imagine a borrower who has a good job and is making regular payments, when the cosigner (perhaps a well-meaning family member who got into trouble, or an ex-spouse who the borrower hasn’t heard from in years) declares bankruptcy. Suddenly, the student loan is in default. 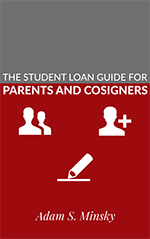 Or how about the situation where the borrower’s mother dies – mom is a cosigner on the borrower’s private student loan, and hasn’t really had much to do with the loan since she originally signed for it. But now, the borrower is going to have to deal with default and a collections agency, on top of the grief of losing a parent. This week, social media has been exploding over a story out of Houston, TX that a man was arrested by U.S. Marshals over a 30-year old defaulted federal student loan. People are, quite understandably, angry and terrified about the prospect that the federal government may now be arresting people who default on their student loans. It’s a bit more complicated than that, however. First of all, as a threshold matter, let me make one thing absolutely clear: It is not a crime to default on student loans. Don’t get me wrong – defaulting on student loans (particularly federal student loans) is very serious. The federal government has draconian collections powers that can cause significant hardships for student loan borrowers, and the secondary consequences of default can be even more crippling. Default can literally ruin someone’s life, and it’s no laughing matter. But, I’ll say it again: It is not a crime to default on student loans. Student loan refinancing is the process by which a borrower can obtain a lower interest rate on their student loans, usually by taking out a new student loan that pays off the old one. If this new loan comes with a lower interest rate and better repayment terms, the borrower may save substantially, both on a monthly basis and in total. During the past few years, up-and-coming private student loan refinancing companies have been offering various options to student borrowers. These programs are relatively new, and they tend to be restricted to people with good income and excellent credit, so we don’t know much about them. But as more and more borrowers turn to these programs in the absence of federal student loan refinancing options, I’ve been trying to find out more information about them. Last week, I wrote a review of “SoFi” student loan refinancing based on a borrower’s experience and my analysis of their loan contract. 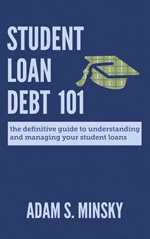 This week, I’m taking a look at “Earnest” student loan refinancing. Like SoFi, Earnest offers student loan borrowers with various refinancing options. However, Earnest seems to focus more on its technology-based application process and customer-service-oriented approach. Student loan refinancing is the (somewhat elusive) process by which a borrower can obtain a lower interest rate on their student loans, often by taking out a new student loan from a different lender. If this new loan comes with a lower interest rate and more favorable repayment terms, the borrower may save a good deal of money, both on a monthly basis and in total over the course of repayment. Right now, there’s unfortunately no way to refinance federal student loans within the federal student loan system, which is troublesome for many borrowers who have high-interest federal student loans. Private student loan refinancing largely dried up during and after the financial crisis of 2007-2009. However, in the past few years, new and somewhat unique private student loan refinancing companies have begun offering some options to borrowers. Because these companies and their programs are relatively new, and student loans generally must be repaid over a long period of time, we don’t yet know enough about these companies to say with certainty whether they provide viable long-term solutions for borrowers. What we do know is that these programs tend to be geared towards borrowers with excellent credit and good earning potential, which effectively locks out many borrowers who need the most relief. One of these new student loan refinancing companies is called SoFi (short for “Social Finance”). SoFi offers student loan borrowers with various refinancing options through a unique investor-based funding mechanism. It’s one of the leaders in this nascent industry. Tune in on Wednesday, June 24 at 2:00pm for an overview of options available to borrowers to repay their federal student loans and get out of default. The webinar is FREE and open to the public. You are/were in default on U.S. Dept. of Education federal student loans. Your wages are/were being garnished. You are/were in a rehabilitation program and you are/were making rehabilitation payments on top of your wage garnishment. The collections agency handling your account offered you an “accelerated” rehabilitation option whereby you agreed to make two payments in one month. However, the collections agency told you that you would have to make five months of rehabilitation payments before your wage garnishment order would be lifted (as opposed to five payments). You are in default on federal student loans and your account is being handled by a collections agency. You have received written notification during the past seven months that collections costs of 18.5% or more would be assessed on your loans through consolidation or rehabilitation. This is for information-gathering purposes only, and this request for information is not a promise or offer of legal representation, and contacting me does not establish an attorney-client relationship. I am simply trying to get a better sense of the frequency of the above issues. If you fit either of the profiles above and would like to share your experience, please contact me by e-mail (asminsky@minsky-law.com) and provide details about your situation, as well as the name of the collections agency handling your account. Again, this is not a promise or offer of legal representation; I’m just gathering some information. Defaulting on your student loans can have very serious consequences, especially if your loans are federal. The government has extraordinarily powerful tools to garnish your wages, seize your federal tax refunds, and offset federal benefits (such as social security), all without a court order. But even private lenders (as well as federal ones) can add penalties and collections costs to your loan balance, and they can report your defaults to credit bureaus, wrecking your credit. 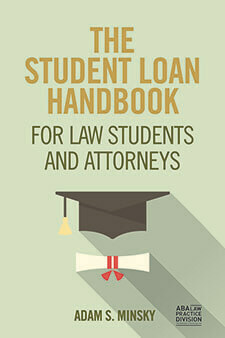 Any student loan lender can file a lawsuit against you, and then use the power of the courts to pursue you even further. I think of these as the “primary” or “direct” consequences of default, and they are no laughing matter. The President’s “Student Aid Bill of Rights:” What Is It? The U.S. Department of Education contracts out the collection of defaulted federal student loans to nearly two dozen private, third-party debt collection agencies. Borrowers, advocates, and the media have been severely criticizing the Department (quite loudly) after various independent reports accused many of these debt collection agencies of engaging in abusive and deceptive practices that violate federal law. These reports have accused the Department of poor and insufficient oversight of its contractors. Despite this, the Department has repeatedly ignored the criticism and renewed its contracts with many such agencies. One of the largest for-profit college networks in the country, Corinthian Colleges, recently collapsed under pressure from multiple state and federal lawsuits alleging that the company defrauded tens of thousands of students: first by luring them to enroll with unrealistic promises of gainful employment, then saddling them with predatory debt and a sub-par education, and finally leaving them out to dry with dim or no viable career prospects. Corinthian was essentially forced to shut down. This has left thousands of Corinthian graduates with unfinished or useless degrees, and an obscene amount of student loan debt. While a recent settlement with the Consumer Financial Protection Bureau will provide some debt relief to borrowers who took on predatory private student loans, many more are still left with crippling federal student loan debt. Activists, and even the Massachusetts state attorney general and other high-level officials, are calling on the U.S. Dept. of Education to forgive this debt on the basis that it should never have allowed Corinthian to benefit from federal aid to begin with. Recently, student activists have called for a “debt strike,” whereby Corinthian graduates will refuse to repay their federal student loans to protest both Corinthian’s practices and the U.S. Dept. of Education’s complicity in what essentially has been a huge scam. I was recently asked to give my opinion about this debt strike in an interview with Inside Higher Ed. As the article indicates, I am torn. My heart is with the activists. Sometimes, you have to shake things up in order to make some change. These students were completely taken advantage of, and if this debt strike gains momentum and calls more attention to the wider problem of federal funding of predatory for-profit colleges, while also providing some relief for the victims of such schemes, I am all for it. At the same time, my activist heart works in conjunction with my attorney brain. And the fact is that the federal government has enormous powers to ruin people’s lives when you default on federal student loans. Not only does federal default wreck your credit, but the federal government can tack on outrageous penalties, garnish your wages, intercept your tax refund, offset federal benefits (even Social Security), and pursue you for life- all without ever needing to take you to court. So I support the debt strikers. And I hope they make a difference. I just want everyone who is participating to be aware of the consequences. Because they aren’t pretty.